Agbokim Waterfalls, Nigeria – Stella Obi wakes every morning in search of odd jobs in Agbokim Waterfalls village in southern Nigeria’s Cross River state. 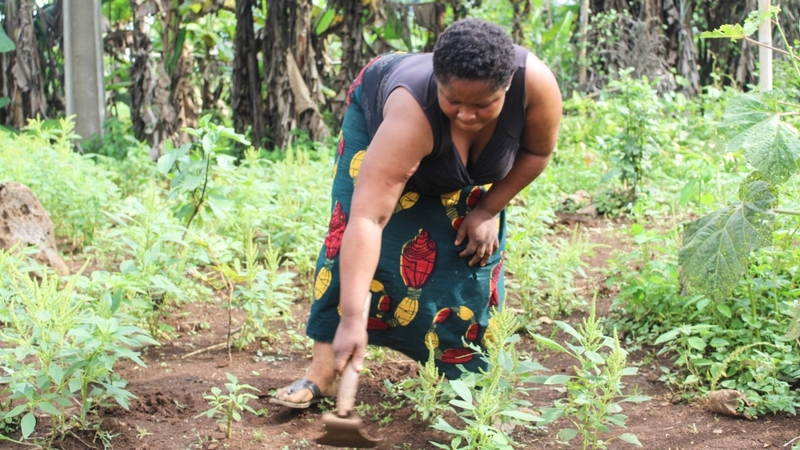 With a hoe and a machete, the 34-year-old asks locals if they have any work for her on their farms. She weeds or breaks cocoa pods. 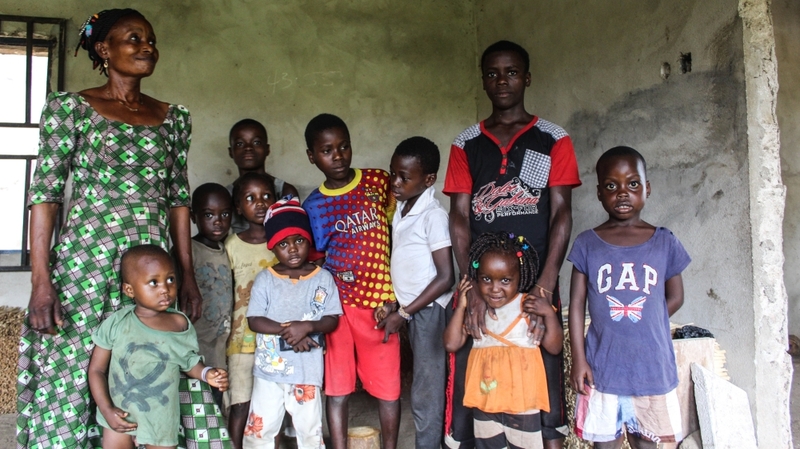 Obi, a mother of six, is among over 180, 000 Cameroonians who fled their homes following a violent crackdown by the Cameroonian government on Anglophone separatists who declared independence from the French-speaking majority on October 1. More than 21,000 people have crossed the border to Nigeria, according to NGOs, though local emergency officials say the number could be higher, at up to 50,000. Tensions rose in late 2016 with a strike by barristers and then teachers, both of whom were protesting against the use of French in schools and courts in Cameroon’s English-speaking northwest and southwest regions. More protests followed in major cities in the regions, with local residents joining rallies. As calls for either integration or autonomy grew louder, the government stepped in with heavy-handed tactics. Security forces were deployed to the regions; protests were met with violence, arrests and killings. Hundreds of homes were razed. The Ambazonia Defence Forces and other rebel groups sprang up and fought back, and armed separatists kidnapped civil servants, torched government buildings, and killed soldiers. We left everything behind and fled to the forest. My husband tried to go back and gather some things and he was killed. Most Cameronian refugees settled in Cross River state, which has a border with southwest Cameroon. In Agbokim Waterfalls village, Obi and thousands of refugees have little or no access to food, medicine, education, clothing, drinking water and sanitation facilities. The asylum seekers are mostly staying with host families. Some households raised money for rent after doing odd jobs. The UNHCR has been supporting the refugees, but it is now struggling with a lack of funds. 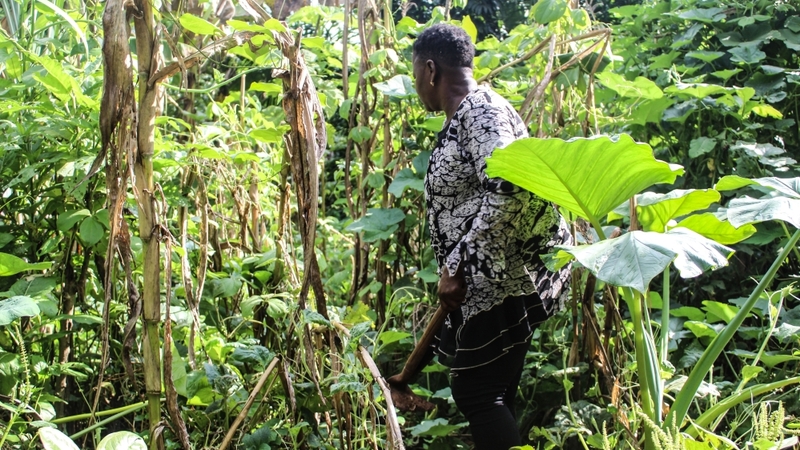 Across the road, another asylum seeker, 43-year-old Janet Obi, clears shrubs growing beneath large maize stalks, working with so much force that she stops regularly to catch her breath. She is angered by the government’s use of force on protests. “My [nephew] was playing outside our home when he was shot by a soldier,” she recalls. “He was innocent, he did nothing wrong. Our people are being shot like animals; we are armless civilians. Janet emphasises the word anything. Some women and children work on building sites, carrying bricks and other materials to make enough money for food. Others use their income to buy tree branches to make chew sticks – which are used in Africa to clean teeth – to sell. Across Agbokim Waterfalls, it is common to see refugees chopping tree branches into twigs. At an unfinished apartment building in the village centre, Mary Obong and a group of nine children are loading piles of twigs into a 100kg sack. 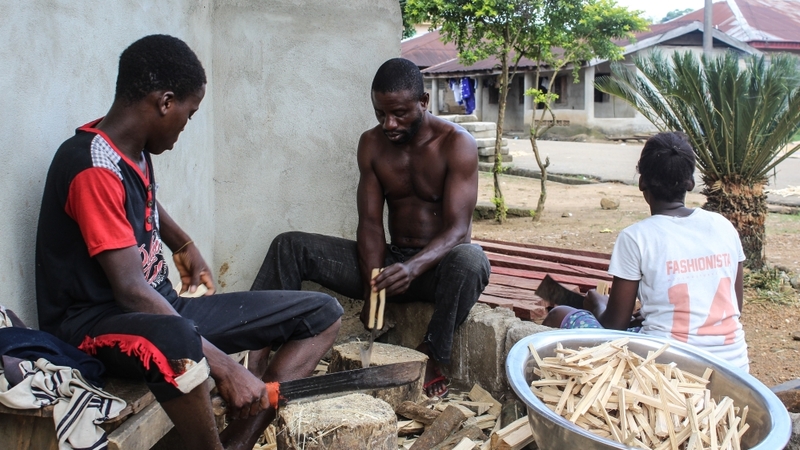 “I have to make chew sticks to feed my seven children and two of my grandchildren who are staying with me,” Obong says, imploring the children to hurry. Families hosting refugees give Obong the branches and pay her anything from 1,500 to 3,000 naira ($5 to $10) to fill up a bag. The process could last a week or a little less. After Francophone Cameroon secured independence in 1960, the UN facilitated a referendum that allowed regions under British mandate to either join Nigeria or the larger French-speaking Cameroon. Southern Cameroon – the present-day northwest and southwest regions – joined the Republic of Cameroon, but a national referendum in 1972 changed Cameroon into a unitary state. Current President Paul Biya, who came into office in 1982, changed the country’s name in 1984 to the Republic of Cameroon, the initial Francophone territory name. A second yellow star on the green stripe of the flag was removed, with the government touting the move as a symbol of unity. However, a group of five elderly Cameroonian refugees who spoke to Al Jazeera say the second star represented the Anglophone regions, and its removal showed that Cameroon was not “one” or “united”. The bulk of Cameroon’s industrial output, including its only refinery, is in the [Anglophone] Southwest Region, a fact which may partly explain the central government’s urgency in moving to quell secessionist elements. Cameroon has a population of nearly 24 million people. An estimated 20 percent live in the Anglophone regions. Eight out of the country’s 10 administrative provinces are Francophone. Many in the Anglophone community feel marginalised by the French-speaking government in Yaounde, citing a lack of political representation, job opportunities and resources and the imposition of French in schools, official documents and courts. More than half of Cameroon’s gross domestic product (GDP) comes from the Anglophone regions, according to estimates. “The bulk of Cameroon’s industrial output, including its only refinery, is in the [Anglophone] Southwest Region, a fact which may partly explain the central government’s urgency in moving to quell secessionist elements,” says Cheta Nwanze, head of research at Lagos-based geopolitical risk consultancy firm, SBM Intelligence. Discontent is common among the refugees. 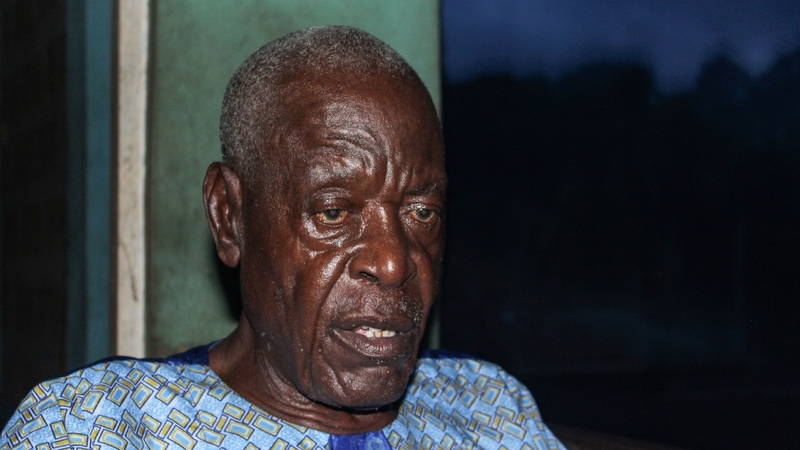 “Many resources [such as] crude oil, cocoa, palm oil, timber, rubber, and banana come from our side, but after taking them away they forget us and face the Francophone areas,” former Cameroonian policeman Ntui Patrick Obi, 78, tells Al Jazeera. “Our children will finish school with all their knowledge and the books they know but there is no work,” says Helen Agbor, an 80-year-old refugee. If President Biya, 85, extends his 35-year rule in upcoming elections, the crisis is expected to deepen, according to analysts. “Cameroon sits at the crossroads of West and Central Africa, a strategically important position from a geopolitical standpoint,” says Nwanze, the researcher at SBM Intelligence. 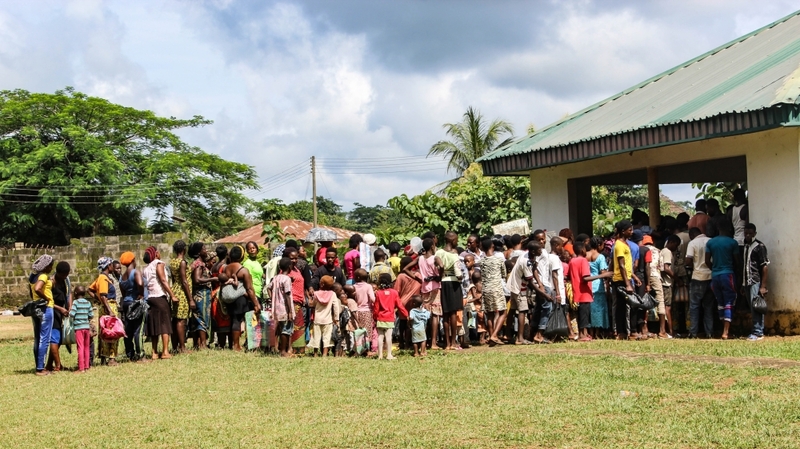 Back in Agbokim Waterfalls village, hundreds of refugees pour into an aid centre. More than 1,000 people wait outside, plastic bowls and cups in their hands. 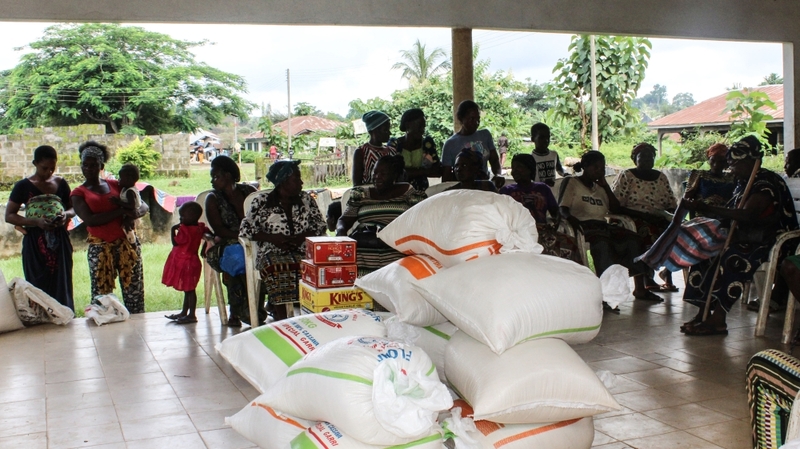 They gather like this whenever food and other items come in from the Anglophone diaspora, or local people and churches. Inside the centre, there are grains, vegetable oil, salt and tins of tomatoes. Quarrels simmer over how to ration out the supply. It is in moments such as this that Stella Obi, the widowed mother of six who works the vegetable fields, remembers home. “Soldiers burned our homes, clothes, property, bags of cocoa – just everything, so what is the point of returning?” she asks.